From time to time, conservative groups in Morocco have called for performers to be banned because of their provocative style of dress, their jaunty lyrics or even their lifestyle. Regular readers of The View from Fez will well remember the fuss over Lebanese singer Haifa Wahbi and the attempts to ban Sir Elton John. In the latest incident calls were made to stop a performance by Lebanese singer Nancy Ajram. Ibn Warraq reports. 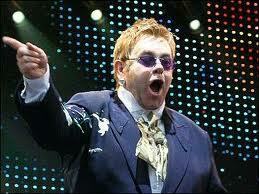 The PJD even went as far as requesting the Moroccan parliament ban Sir Elton from performing in the festival. Most commentators saw the call as a rather naive attempt at playing popular politics and the move backfired when the party was roundly ridiculed. Then, back in 2006, there was the Haifa Wahbi saga. Moroccan authorities denied the Lebanese singer Haifa Wahbi entry to the Kingdom where the popular singer was to to hold a charity concert for HIV research. After submitting a request for permission to enter the country, Haifa was surprisingly denied. Then, barely a month later, the ban was overturned and Haifa arrived in Morocco after an invitation from the Red Badge Organization. And now, one of Haifa’s rivals, was the centre of another attempt to censor who Moroccan young people can watch perform. Islamist groups called for the concert last Saturday in Tetouan by the Lebanese singer, Nancy Ajram, to be cancelled. Again they have misread the mood of the country and their call was ignored. But for the young people of Tetouan, this means little. What was important was that they had a chance to see Nancy Ajram perform. What the groups calling for performers to be banned fail to get is that people in Morocco have the freedom to watch and listen to what they like and that attempts to ban simply act as great publicity for the artists.